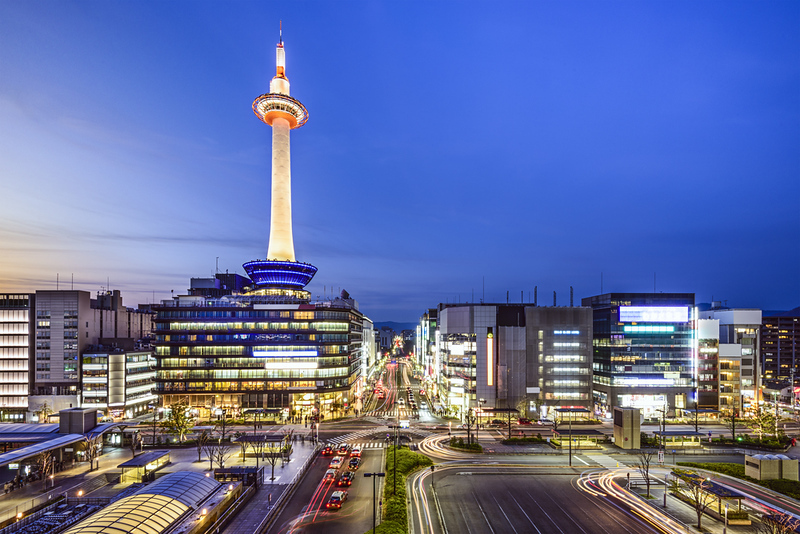 Kyoto’s main entry point, the Kyoto Station Area is a major transport hub and shopping district. Comprising the Kyoto Station Building and the surrounding blocks, the Kyoto Station Area is not exactly a sightseeing destination, but odds are, you’ll wind up spending some time here. The shinkansen (bullet train), the Haruka airport express train and several other train lines all operate out of Kyoto Station, meaning you’ll almost certainly arrive here. The view of Kyoto from the train platforms is pretty grim – a lot of concrete, neon and ugly billboards. But, please avoid the urge to get back on the train and go home. Once you get out into the city, you’ll find the beauty you’ve come looking for. The main activities here are shopping in the giant malls and electronics emporiums in and around the station or visiting three of the vast temples that lie within walking distance of the station. The Kyoto Railway Museum is one of the best railway museums anywhere in the world. It’s a must for train fans and families with children. The Kyocera Museum of Art is a small museum in southern Kyoto that showcases the history and products of Kyocera Corporation and also hosts ever-changing shows of art. If you need a quick meal when exploring the Umekoji-koen Park area, this excellent ramen restaurant is a great choice. Pulse Plaza Antiques Grand Fair is THE best single antiques and art market in Japan. If you’re in town when it’s on, don’t miss it! If you don’t mind being south of Kyoto Station, the Sakura Terrace is a great choice in the budget to moderate price range. It’s an efficient and welcoming hotel with highly competitive rates. An excellent little business hotel a short walk from the south side of Kyoto Station. It’s near AEON Mall, so there are plenty of shopping and dining options only steps away. This simple new business hotel a short walk from the main (north) exit of Kyoto Station offers great convenience at super-cheap rates. For more good budget options nearby, see the Downtown Kyoto accommodation section. The Izuyasu is a classic traditional ryokan within walking distance of Kyoto Station. It’s one of the best places to get the full ryokan experience without paying the rates of the more famous places downtown. Just steps from the south exit of Kyoto Station, the Ibis Styles is a neat and convenient business hotel with some of the best rates in Kyoto. The New Miyako Hotel Kyoto is a large popular mid-range hotel on the south side of Kyoto Station. It’s very convenient for those coming or going on the shinkansen. The Hotel Keihan Kyoto, which is located on the south side of Kyoto Station, is a very good value business hotel. It’s located right next to the Kyoto Airport limousine stop, making it convenient for travelers with early-morning departures. For more good luxury options nearby, see the Downtown Kyoto and Southern Higashiyama accommodation sections. There’s even more Kyoto Station hotels on Booking.com and Agoda.com along with a useful location map. Since it’s the transport hub of Kyoto, it’s unlikely that you’ll need directions to get here – this is probably where you’ll arrive in the city. 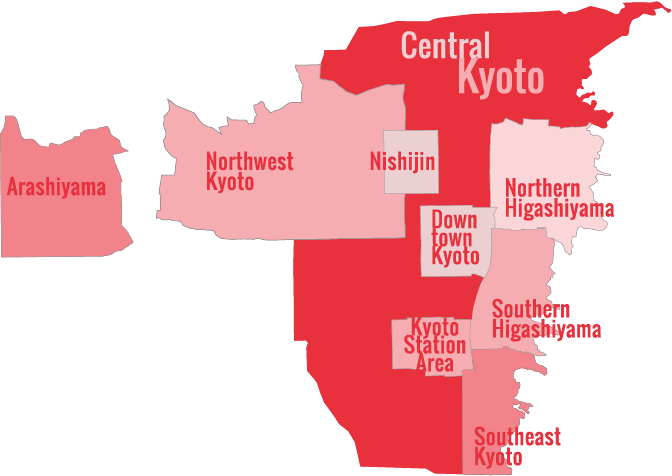 However, just for reference, Kyoto Station is served by the JR Tokaido Shinkansen Line, the JR Tokaido Line, the Kintetsu Kyoto Line, the Karasuma Subway Line, JR highways buses, and many Kyoto city buses.